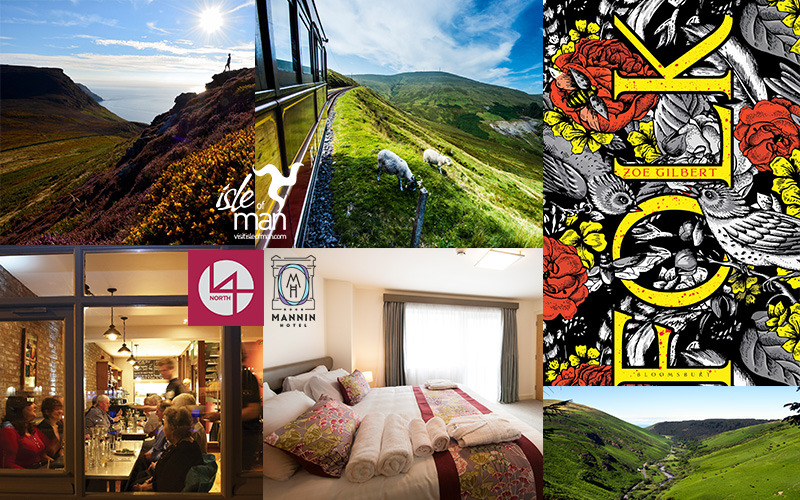 Win a weekend trip to the Isle of Man, worth £1000! Win a weekend trip for two to the Isle of Man, worth £1000, and a signed copy of FOLK by Zoe Gilbert! To celebrate the publication of FOLK by Zoe Gilbert, Bloomsbury Books have teamed up with Visit Isle of Man to offer a weekend trip for two, worth £1000, to the Island that inspired the novel, along with a signed copy of the book. FOLK is the captivating debut novel by the winner of the 2014 Costa Short Story Award, Zoe Gilbert. Set in the fictional island village of Neverness, this magical novel creates a world you will never want to leave. From rugged coastal cliffs to rolling moorland through to wide flat plains and sandy beaches, the Isle of Man offers a unique backdrop for a weekend getaway. Courtesy of Visit Isle of Man, one lucky winner will receive an amazing weekend package for two, which includes two night’s stay at one of the Island’s premier hotels, Mannin Hotel, and a £100 voucher for 14North, one of the Island’s finest restaurants specialising in seasonal, local produce. Getting around sightseeing won’t be a problem either as car hire AND unlimited travel on all of the Island’s heritage railway networks will be included in the prize, plus free entry to all Manx National Heritage sites and attractions.